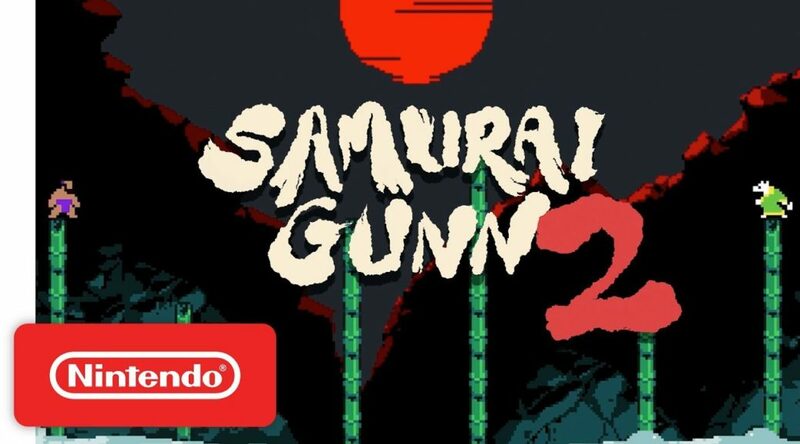 Double Fine Presents’ Samurai Gunn 2, a Bushido brawler, is making its way to Nintendo Switch in early 2019. In Samurai Gunn 2, a mad emperor pushes to expand the city at a ridiculous pace, while an epidemic of gunpowder overdoses is on the rise, and old spirits are creeping back into the world. A princess, a golem, a samurai knight, and a homeless girl all have a part in rewriting the fate of Gunn City forever. Samurai Gunn 2 will feature a new, expansive adventure mode and an updated versus mode. Players will venture with a friend through a medieval metropolis on the brink of crisis, armed with only a sword, a gunn, and three bullets per life. They’ll have to fight or fly past their foes to discover the mystery behind Gunn City’s ghostly threat… or battle together with a group of two to four friends in versus mode with improved controls, new levels and new characters. Every decision matters, since one hit is all that separates victory from defeat. Samurai Gunn 2 will feature Trigger Soul, a full-length graphic novel by acclaimed French comic creator Valentin Seiche in collaboration with PEOW Studio. It will also feature a new soundtrack composed by legendary rapper/producer/poet Adam “Doseone” Drucker (Samurai Gunn, Enter the Gungeon, Gang Beasts).